Now that pepper grinding season is nearly here, Huy Fong is offering a special tour to see the complete Sriracha production—from fresh peppers to grinding and bottling. Every year since 1990, Underwood Ranches has been growing chilies for Huy Fong Foods to grind into its world-famous recipe for Sriracha. 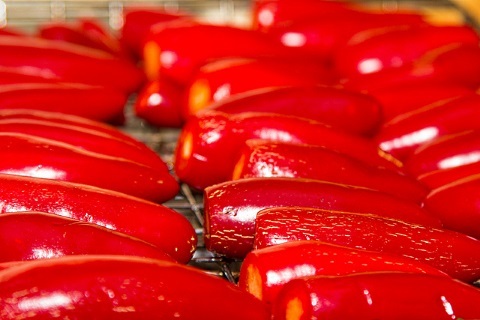 And every year, without fail, Huy Fong has ground all those delicious peppers into Sriracha for the world to enjoy. This year is different, though. 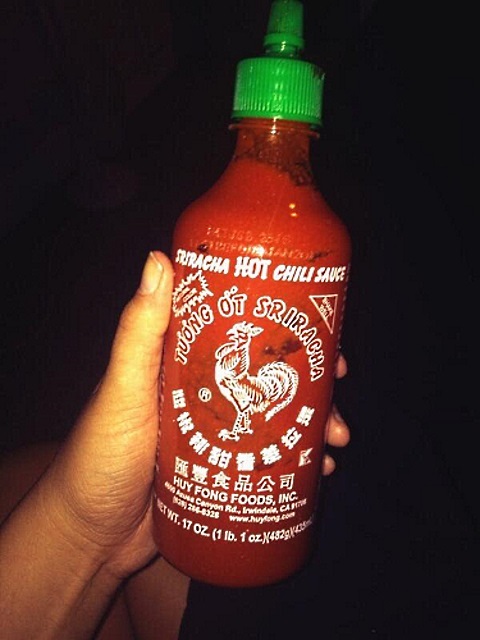 You see, Huy Fong began offering factory tours to Sriracha lovers in February of this year. Now that pepper grinding season is nearly here, Huy Fong is offering a special tour to see the complete Sriracha production, from fresh peppers to grinding and bottling. According to LAist, the first 200 guests will receive some free Sriracha-themed swag, and you’ll get to munch on some Sriracha-centered appetizers at this event, as well. Pepper grinding doesn’t start until August 22nd, but official signups for the kickoff tours end TODAY, JULY 25, 2014. If you’ll be in Irwindale on August 22nd or 23rd and are interested, you should go sign up right now. You can also call 626-286-8328 to schedule a tour. Trucks of peppers take about an hour to get to the Huy Fong facility in Irwindale, at which point they’re dumped directly into the grinders. All told, it only takes about four hours for those peppers to go from plants to bottles of spicy deliciousness. Last year, Underwood said he filled about 40 semi-trucks per day throughout the harvest season. Pepper harvesting season lasts from late August to December every year, and according to the Pasadena Star News, last year’s estimated harvest was around 58,000 tons. Huy Fong just added two new bright red 14-seater golf carts named Hot 1 and Hot 2 to take tour groups around the facility. If you go, you’ll also be able to stock up on all the Sriracha-themed merch you could ever want at The Rooster Room gift shop, according to the Pasadena Star News. The list of names on that signup sheet is already getting pretty long, so you’d better hurry if you want to get in on pepper grinding season.